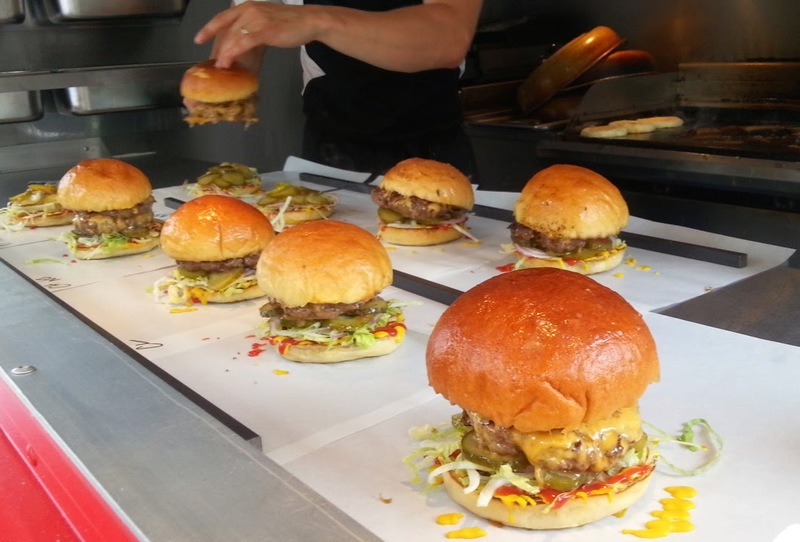 Don't Drive to Dinner: Steak and Honour - the burger van, all grown up! England's never had a great tradition of 'street food'. There's the kebab and burger vans, arriving in a town centre near you at closing time, there to satisfy the needs of the late night drinker. There's the jellied eels and cockles and mussels of the East End markets, valiantly serving an aging customer base. The street corner vendors of burnt chestnuts seem to have disappeared from the streets of London, those open braziers rightly considered a health and safety nightmare. 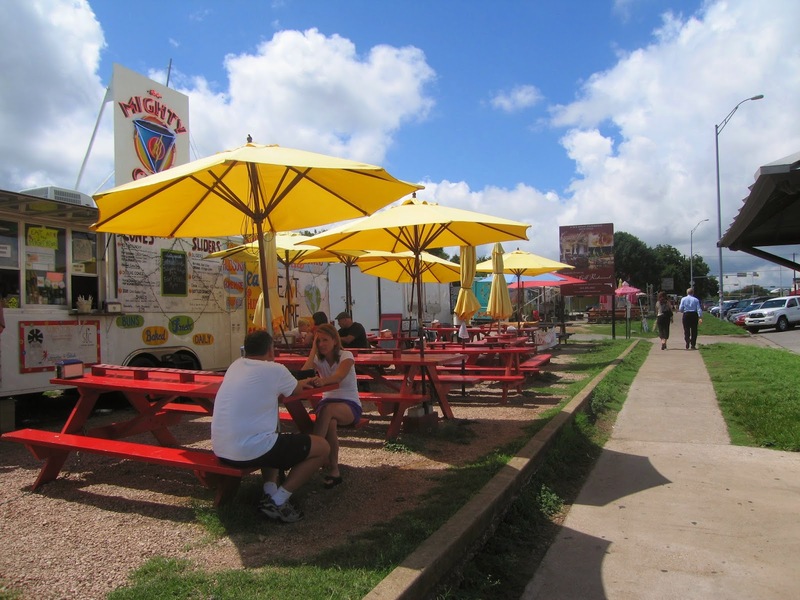 But in recent years we've seen the arrival of the 'food truck', a concept I first encountered in Austin. This is food from a van without the risk of botulism. This is food without fear. In fact, this is food to be actively sought out. In Austin's so-cool SoCo district, there's a little stretch of waste ground opposite a row of hip restaurants that's populated by 'food trucks' - I fondly remember the 'Mighty Cone', although I'm sure there's quite a turnover and it may not still be there (note to self - go check in a couple weeks!). I don't imagine Austin invented the 'gourmet' food truck, but certainly the SXSW festival helped popularise them, as they formed part of the mobile catering army that sprang up to feed the masses that turn up each year. The low urban density of most American cities means many have waste ground in the middle of quite desirable areas, and for that reason, food trucks make sense there. It's a low cost route to restaurant ownership, the good weather in cities such as Austin favours outside dining, and it fits in with America's love of fast, informal dining. Well, of course, it's now found its way across the atlantic, with London leading the way. What starts in Dalston comes first to the South Bank, and of course now it's in the provinces. Today we went for lunch at foodPark, Cambridge's collective of street food vendors, at their site in the new CB1 development at Cambridge station - and ate at the much talked about Steak and Honour. 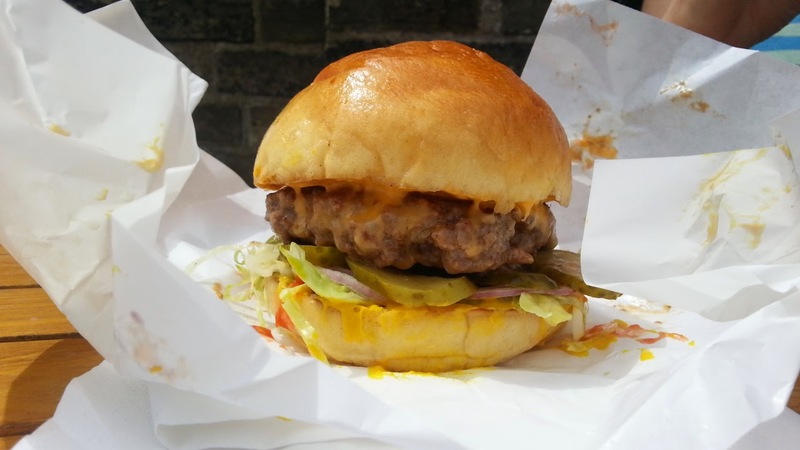 I've been hearing rumours about this place for a while - like a 90's rave, it would pop-up at mysterious locations only known to the dedicated Cambridge burger fans. Or, of course, you could just follow their twitter feed (@steakandhonour). Well, it was a delicious burger, happy to proclaim that the beef was local and that the buns were brioche - I don't think the burger vans of my youth would ever have admitted their sources. Welcome to Cambridge, food trucks! The burger van has definitely come of age.